The missing link was lost over a HUNDRED YEARS AGO. Darwin (no one knows his last name) called it the ‘Holy Grail’ of science. He searched the globe for this elusive treasure which he knew would bring him fame and riches. He nearly found it in a cave but a GIANT BOULDER came rolling down at him and he barely escaped with his life. Even the huge bull whip he carried with him was useless against such a boulder. 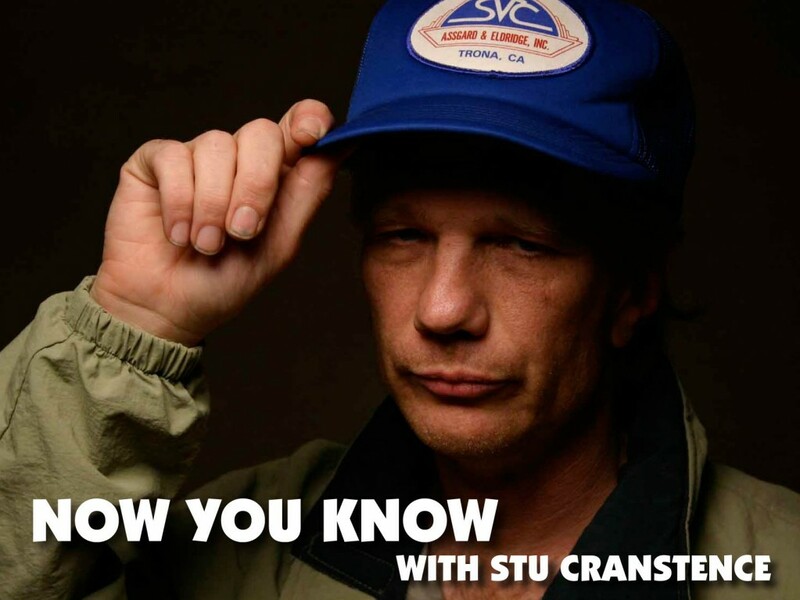 Stu Cranstence: soon to make another major discovery? When will scientists find the MISSING LINK? Scientists have been trying to find the MISSING LINK for over A HUNDRED YEARS. It is very hard to find because it is made out of CAMOUFLAGE. The scientist who finally finds the MISSING LINK will become very famous and people will stop ignoring him and will ask him to do an interview on a real T.V. show. He will go to SCIENTIFIC CONFERENCES and no one will laugh at him. He will find the MISSING LINK inside the perimeter on his next expedition because then everyone will say he is the TOP SCIENTIST. Question: Are your findings scientific? Answer: For your information, my brother, Ron, took some of my findings (ancient pottery) to an actual university scientist who told Ron that, YES they do have a scientific name for these findings. According to this scientist, these findings are called “droppings”. I don’t need the establishment to tell me that my findings are legitimate but for those doubters out there, ‘read it and weep’. You can see me actually making these findings in a video that Ron made called, ‘Stu Cranstence collects his findings’. Thanks again to my brother Ron. He enables me to do all the things I do!